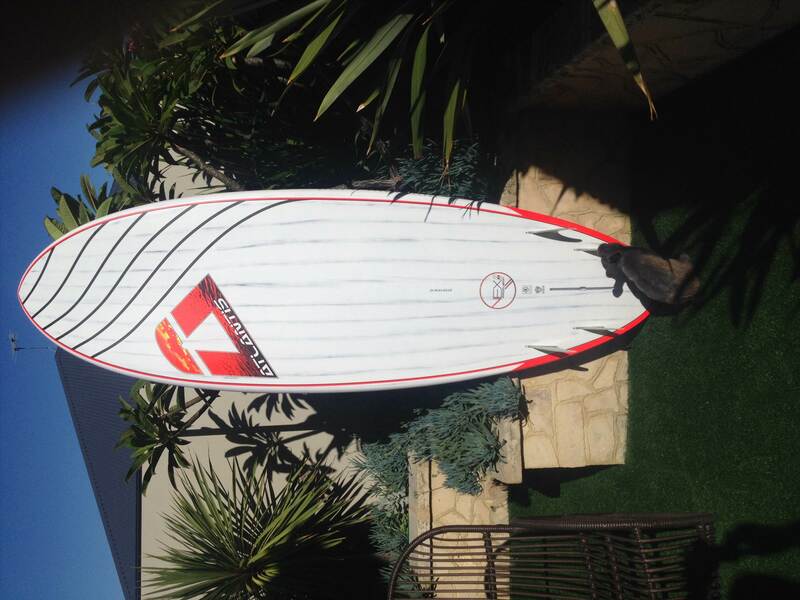 Just took delivery of my first purchase from Surfboard Warehouse. ( I payed full price) and have nothing to do with these guys apart from being happy! I was a little bit worried at first getting it shipped to WA but I must say the boys at the factory did a great job in packaging her up and the board came in perfect condition . The finish of the 8'0 Pro Vex is outstanding, not to mention value for money, construction seems to be the same if not better than most of the top end stuff. soon as you take delivery the ocean goes flat so I've only had it out once in very small South Cottesloe junk, a bit hard to write any blurb with that so I will report back when we get a bit of decent stuff. Yep, frothing to get it out, even my little mate Carrots reckons it's a winner. Cheers to the guys and Gals at Surfboard Warehouse. Report back from first decent surf out at artificial reef this morning, yep it's a good'n. After a nice strong cold front hit metro Perth yesterday the swell is on and about as big as you get in Perth, (normal size everywhere else). Winds were cross offshore at first then strengthened to cross onshore by the end, ( quite bumpy but hollowish waves)Around 10-15kn. 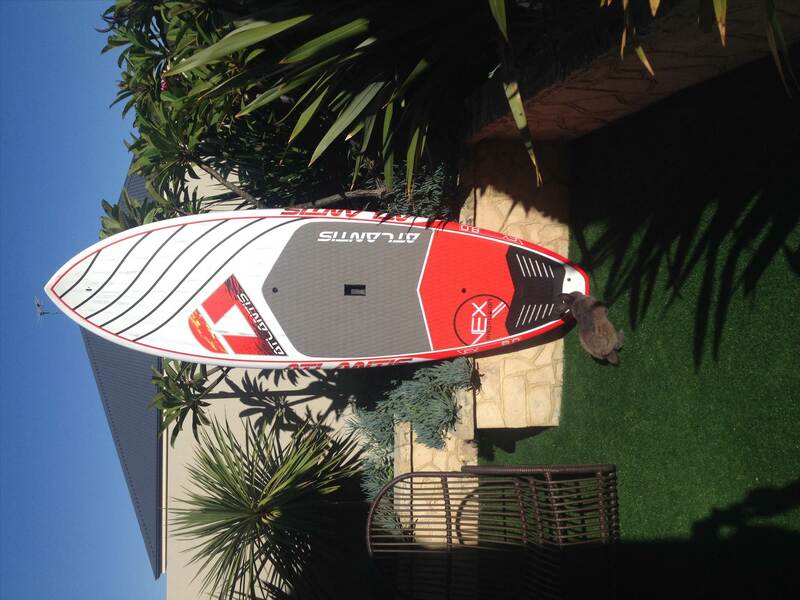 The Vex is defiantly nice and stable for a shorter performance board, and paddles nice it behaves itself manourvering around under paddle power, I had the board set up quad style (stretch fins) I almost never ride quad but thought to give it a go after old mates advise ( thanks johndesu). So on the wave it also behaves and is nice and predictable nothing outrageous just smooth arcs but give it some back foot pressure and it can whip into tight turns. Maybe that's the thing with quads, in the past I have found boards with quad set ups to slip, skid , slide you have to surf lightly and just not give full confidence, but Somehow not with this board. Will have to try as trusty thruster and compare. One thing I did notice is the shortness of the deck pad up forward, not a huge issue at all but if you need to or accidentally step forward paddling hard for a wave you can slip and mess up. Could easily get some NOWACS or similar product and stick it on, but that's about it. Other than that I'm a happy camper and I'm sure anyone else that has got one or two of these boards would be wrapped. The plan was to back up the SUP sesh with a wave kite this arvo but I'm beat!